Today’s deals roundup consists of flash drives, earphones, speakers and more. 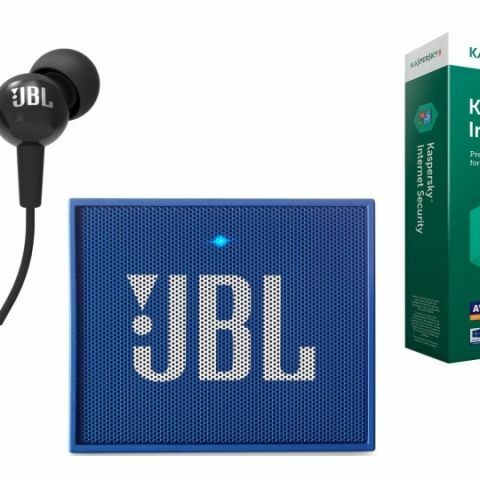 The products we’ve listed down below are from brands like JBL, SanDisk, and more. Today, we’ve found some amazing deals on Amazon on a variety of gadgets. The platform is offering plenty of devices at a considerable discount for the day. The gadgets in the list are earphones, speakers, flash drives and more. The SanDisk Ultra 64GB pen drive features USB 3.0 connectivity, which can transfer the data at the rate of 130MB/s from the drive to your computer. It also has a micro USB port, which lets you transfer the files from your Android device to computer easily. The retractable design also protects the pen drive from dust and other potential damage. You can purchase this device here. The SanDisk Ultra Dual 32GB OTG Pen Drive comes with a USB 3.0 interface, which can transfer the data faster than USB 2.0. The SanDisk Memory Zone application also lets users manage their photos and videos by automatically transferring files from the internal memory to an external card when it is full. You can purchase this device here. The JBL C100SI In-Ear headphones feature an in-line remote for managing calls and music, and a noise-canceling microphone as well. The earphone comes with three sizes of ear tips that allow you to choose one that best fits your ear. You can purchase this device here. The WeCool is a waterproof wireless Bluetooth headphone, which comes with an IPX7 certification. The headphone sports ear-clips that don’t let your earphones fall out during your workout or when running. As per the company, it can provide eight to nine hours of audio playback on a single charge. You can purchase this device here. The JBL Go is a wireless speaker that lets you stream music via Bluetooth. The speaker is equipped with a rechargeable battery, which as per the company provides five hours of audio playback on a single charge. You can purchase this device here.